Home Blog Thank You NVTC “Cool Tech” and TechBISNOW !! Thank You NVTC “Cool Tech” and TechBISNOW !! Thank you to Dede Haas, Chris D’Errico and the Northern Virginia Technology Council for the opportunity to speak at yesterday’s NVTC “Cool Tech” Committee meeting! 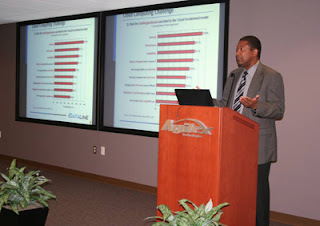 The Agilex facilities were awesome and I couldn’t ask for more from the audience. I also want to thank TechBISNOW for the great coverage. For those unable to attend, NVTC has made my presentation available online at the committee website.